Lets start with a little bit of story.. The main here is Deunan – she is tough military woman, who fights in endless war. She is brought up to new city Olympus where she meets new kind of generation. There she meets her “sister” who belongs to new generation of people who are forbidden to love, and her love who is made into partly machine. Main idea is that she has to find something that would enable new generation to reproduce – but there is a mystery under that. The elderly of the new city decided that humanity itself doesn’t know how to live and actually doesn’t deserve to live in new world – mainly because they just try to destroy everything. But in the end so called not human shows the most humanly act – she actually saves all mankind. Lets have one more word about animation itself. Most of movie is made with 3D graphics (which in my little opinion wasn’t that great.. sorry), but wasn’t bad also. I like the views of city and all similar stuff are nice for eye also, though I don’t like people made in this kind of 3D. Don’t know why, maybe its like I’m too used to watch anime and simple drawing is more nice for my eye, but i could say that views really were something to look into. 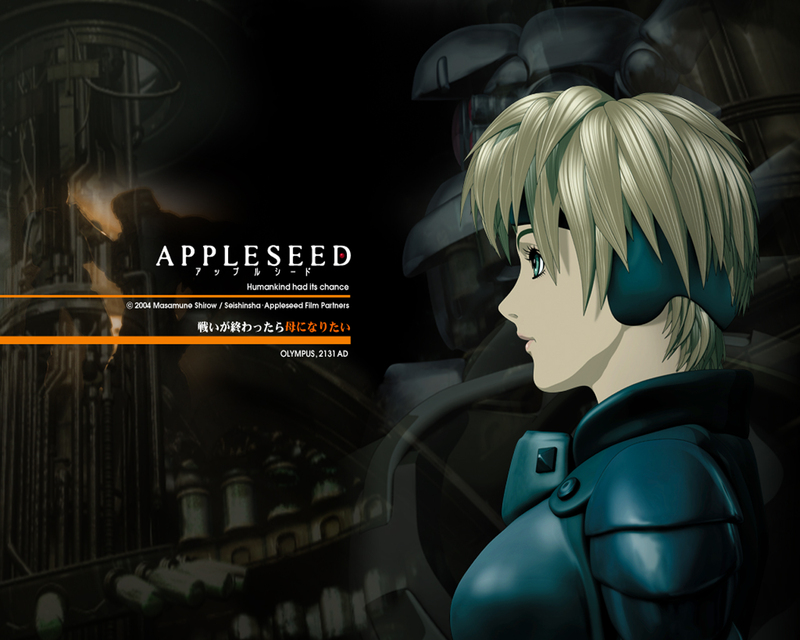 This entry was posted in Movie and tagged 2004, Appleseed, Digital Frontier, Geneon Entertainment, Masaki Yamada, Masamune Shirow, MBS, Micott and Basara, Shinji Aramaki, TBS, Yamato Toho. Bookmark the permalink.